SORBA is 44 Chapters operating seven southern states with about 5,500+ members. It has its own leadership and staff and SORBA chapters operate under SORBA’s 501c3. The chapters, as part of the SORBA organization, pledge to operate under the SORBA’s by-laws and the operations manual. Each Chapter manages itself and its own projects. All chapters come together twice a year in regional meetings to elect SORBA officers, set policy direction, share information, and best practices on everything from trail building to fund raising. SORBA’s Chapters work closely together often sharing work days and always sharing information. SORBA is its own independent entity and because its main mission is aligned with IMBA’s, the two organizations are presently cooperating under a mutually beneficial agreement. SORBA has IMBA handle the membership processing of is chapters. In addition, SORBA benefits from savings on its tax filing and Human Resource services. IMBA assists SORBA and the Chapters with programs like last year’s Dig IN program that raised thousands of dollars for SORBA Chapters and membership drives. SORBA staff and Executive Board exist to help its chapters achieve their goals. Because IMBA and SORBA have a long history of working together, SORBA and its chapters share vital policy chores focused on the Southeast. As an example, SORBA staff and volunteers represent IMBA’s interests, (which are the same as SORBA’s) in USFS Forest planning processes and state wide recreational trail planning. SORBA’s relationship with IMBA is unique, always evolving and always mutually beneficial. 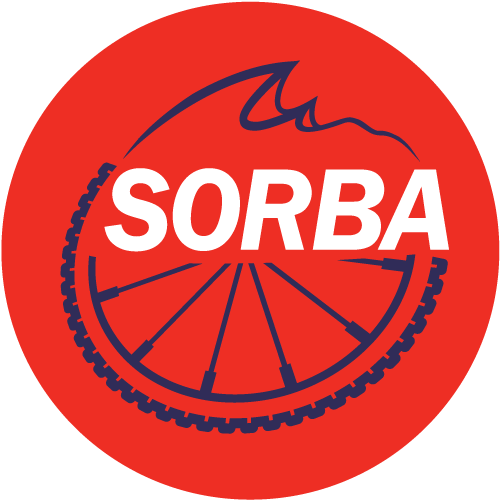 Join or donate to SORBA and support mountain biking in the Southeast. Our members are more than just people who ride mountain bikes. We're passionate, concerned individuals who love the peace, beauty, ruggedness, and challenge of the trail. We are making the world better place for mountain biking. Through our partnership with the IMBA Local program, joining SORBA is a very easy process. Just select your local chapter on the signup form, and you'll become a member of SORBA through your local chapter. Your donations to SORBA help us carry out our mission of making great places to ride your mountain bike. As a 501(c)3 non-profit organization, all donations to SORBA are tax deductible. The Southern Off-Road Bicycling Association is a 501(c) (3) nonprofit organization and donations are tax deductible. Federal Tax ID #58-2271785.